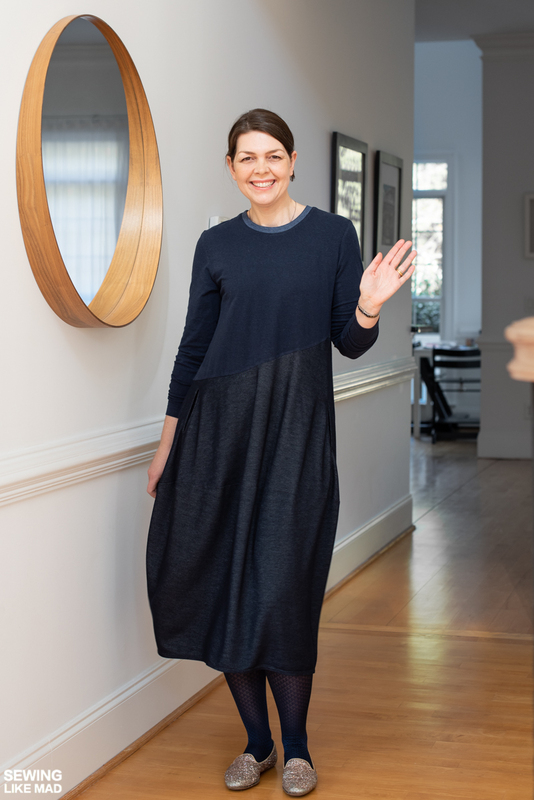 Cocoon shaped knit dress with angled seams, long sleeves and slit pockets. Refresh your wardrobe with this sophisticated dress of the moment. 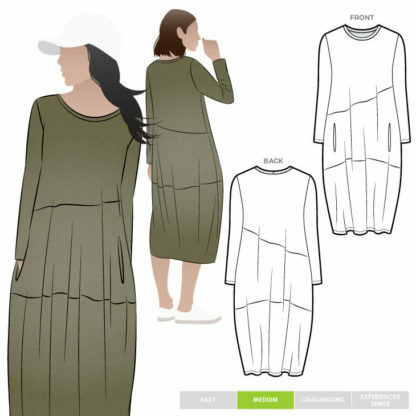 The asymmetrical lines create a soft cocoon shape and the optional slit pockets are a great design feature which sets this mid length, long sleeved dress apart. I ended up mixing two types of knit. 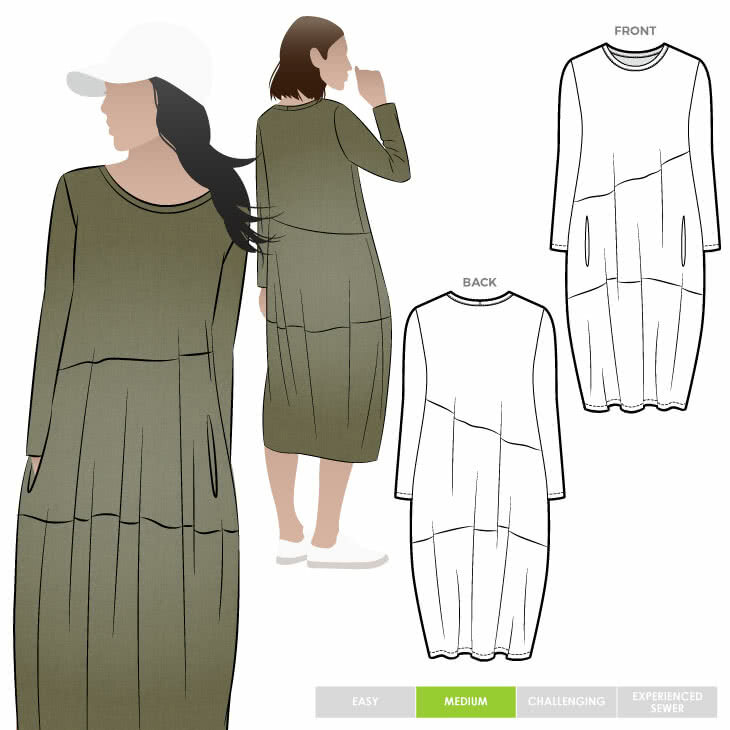 A hemp/cotton blend for the bodice and sleeves and a ‘denim’ rayon knit with tons of drape for the skirt pieces. I made a size 10 and added a bit of length because I’m tall. I’m extremely happy with the result and I love how elegant I look and at the same time how comfortable I feel when wearing this dress.